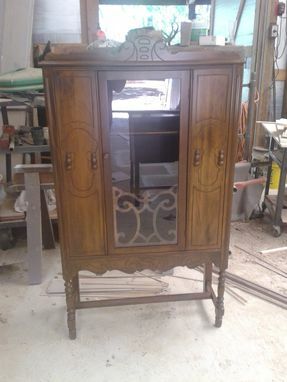 Combine Buffet and china cabinet to make one piece Hutch. Then refinish down to bare wood. Added down lighting, glass shelve and a mirror. Also not shown refinsh of dining room table also down to bare wood. I wanted to update my dining room furniture. This set belonged to my grandmother and is approximately 85 years old. 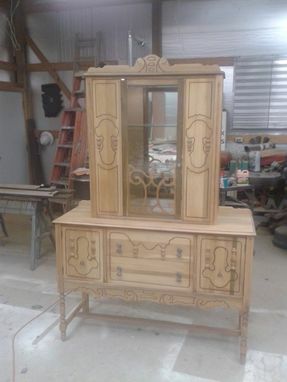 I wanted to combine the hutch and buffet into one piece. 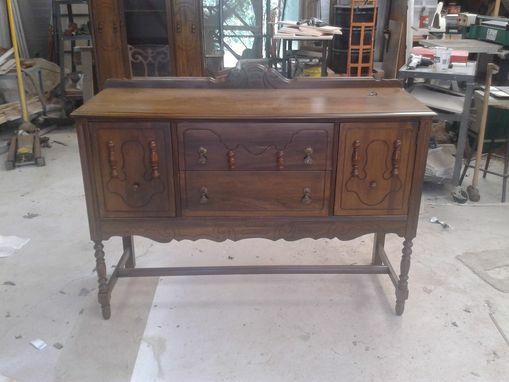 I also wanted the "raw wood" finish that is so popular now. Needless to say, I am thrilled with the finished product. 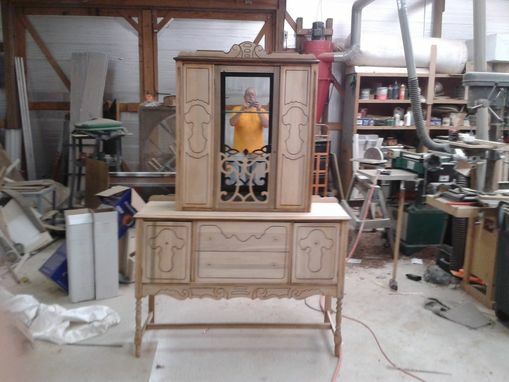 During the process, I told Rick that I wanted a mirror in the back, glass shelves and down lights. He happily obliged. I found Rick through a Google search which lead me to CustomMade. Luckily, he was in my area, which made the process very convenient!!! 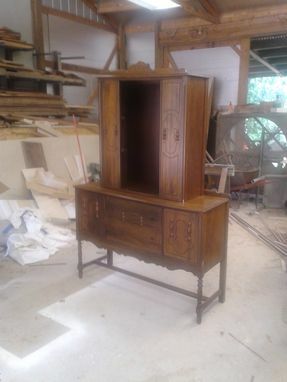 I plan to use Rick again for a custom office armoire. I am confident that he could build and create anything! !